PHP 7 has finally been released some time ago with many great new features – and it will also help you keep your WordPress website in tip-top shape. See now how to use PHP 7 in your WordPress to make it faster. A Guide to use PHP — What Is PHP? 2) PHP Engine: Think of it as the central component that executes the instructions laid down in the PHP script — doing so with the help of the server it’s running on. The PHP Engine is one of the most crucial components and affects the speed, performance and reliability of a website. It’s also the central topic of our discussion! PHP 7 is a PHP engine that was launched in December 2016 and carries a plethora of new features, performance improvements and security enhancements. As with every good lesson, let’s start with a bit of history. Jason Cosper, the resident nerd at WP Engine, loves messing with the latest PHP engines to see which ones work best. The Okay: Around 40% of WordPress users are using PHP 5.6. This is relatively good news since PHP 5.6 gets security support until 31 December 2018. Introducing the PHP Compatibility Checker: A plugin that scans your WordPress codebase and active theme plugins looking for known compatibility issues. The plugin cannot detect runtime compatibility issues since it doesn’t execute any of the existing themes and plugins. The sample list of plugins supported by PHP Compatibility Checker. 4. WHAT ARE THE DANGERS OF NOT SWITCHING TO USE PHP 7? Our first example is dating app Badoo, which has managed to save over $1 million upgrading to PHP 7. How? Simple! PHP 7 reduced the amount of computing power required to accomplish the same task. Thus, fewer servers were required to do the same job, which ended up freeing up some 300 servers! Our second success story comes from a WP Engine client, Clinton Electronics. In a nutshell, they wanted a dynamic e-commerce store with fast load times. The chosen stack was WordPress, along with WooCommerce. The agency they were working with chose WP Engine as the managed WordPress hosting provider, which, in turn, recommended PHP 7. This upgrade ultimately managed to reduce the website’s load time by as much as 60%! How to Switch to use PHP 7 with WordPress? 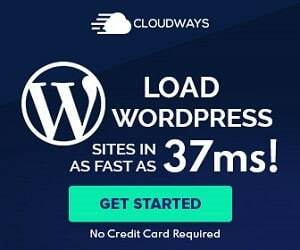 If you’re considering an upgrade or looking to change your current hosting provider, we would highly recommend WP Engine as your managed WordPress hosting provider, with plans starting at $29 a month. Improve Nonprofit Websites SEOHow To Host Your Podcast In Soundcloud?